Just as Audi quattro® brought the benefits of all-wheel drive from off-road to on-road, the Audi Q7 is a capable sport-utility that excels at transporting seven passengers in the lap of luxury. Looking to service your vehicle? Audi Chattanooga is your destination for your new or pre-owned Audi! We proudly serve clients from Cleveland TN, Soddy-Daisy and Signal Mountain, TN, and receive clients from Atlanta, Nashville, Knoxville and the surrounding areas! Audi Chattanooga is here to meet each of your automotive needs by providing friendly service, precise attention to detail and, of course, a superb selection. So whether you're in the market for a new Audi model, a used car, a replacement part or you just need a quick oil change, be sure to make our Chattanooga, Tennessee dealership your first and only stop. You have preferences. You also want to find the vehicle that grabs your attention. Thankfully, at Audi Chattanooga we have many Audi options to choose from. That's because our online inventory is always changing in order to reflect the latest arrivals in our showroom, including the likes of the new 2018-2019 Audi A3, A4, A5, A6, A7, A8, Q5, Q7, and Q8. When looking for that ride that screams 'you' it should be stress-free. That's why we always encourage drivers to relax, and try all the options until you've found the right fit. Of course, we may be known throughout Chattanooga, Cleveland TN, Soddy-Daisy and Signal Mountain for our fantastic selection of new Audi models, but we've also garnered quite a reputation for offering high-quality used cars as well. Each one we carry has been carefully selected and tested to not only meet your undoubtedly high standards for quality, but to exceed them as well. You don't have to fret about auto financing in Chattanooga. That's because our car loan and Audi specialists want to help you reach your goal: to drive home in the vehicle you desire. Audi Chattanooga takes the time to explain all the details, making sure you understand every comfort, safety and entertainment feature (there are many!) and get the best deal possible. It's part of our job; but also, we enjoy helping turn dreams into reality. Audi Chattanooga automotive experts in the car service and repair department who will always have you covered, to make sure your vehicle stays in tip-top shape throughout your entire ownership experience. From providing you with the latest Audi parts to making sure your car is maintained for peak performance, they are truly a driver's best friend. But it isn't our diverse new and used Audi lineup or even our many auto services that set Audi Chattanooga apart from the rest. It's our unequivocal commitment to the customers we serve from the Cleveland TN, Soddy-Daisy and Signal Mountain area. 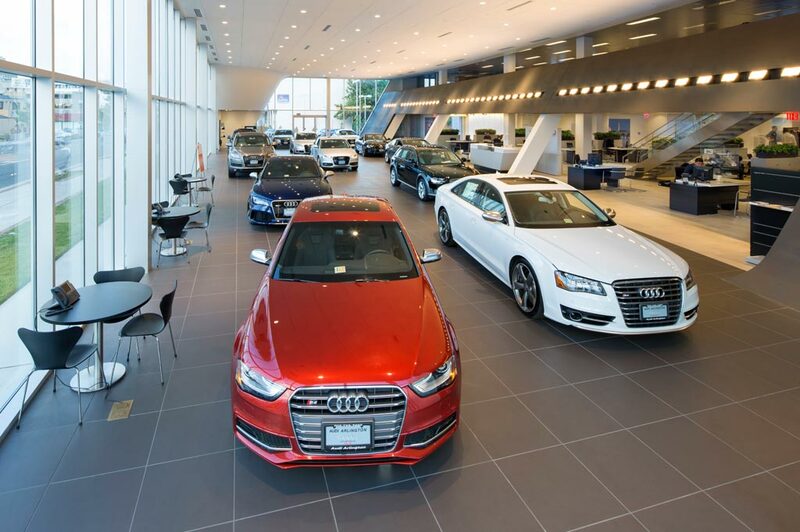 At our dealership, we don't just want you to enjoy your new Audi A3, A4, A5, A6, A7, A8, Q5, Q7, and Q8, we want you to enjoy the entire experience of buying it. Visit us at 6001 International Drive, Chattanooga,Tennessee today and let us treat you right. You have preferences. You also want to find the vehicle that grabs your attention. Thankfully, at Audi Chattanooga we have many Audi options to choose from. That's because our online inventory is always changing in order to reflect the latest arrivals in our showroom, including the likes of the new 2018 Audi Q5, Q7, A3, A4 and A5. When looking for that ride that screams 'you' it should be stress-free. That's why we always encourage drivers to relax, and try all the options until you've found the right fit. But it isn't our diverse new and used Audi lineup or even our many auto services that set Audi Chattanooga apart from the rest. It's our unequivocal commitment to the customers we serve from the Cleveland TN, Soddy-Daisy and Signal Mountain area. At our dealership, we don't just want you to enjoy your new Audi Q5, Q7, A3, A4 or A5, we want you to enjoy the entire experience of buying it. Visit us at 6001 International Drive, Chattanooga,Tennessee today and let us treat you right.